The First Edition of the Tirumandiram in 10 volumes is now sold out. A Second Edition of the Tirumandiram will be available at the same price by May 2013. If you order it now you will receive it in May. It took five years and a team of scholars to translate each of its more than 3,000 verses and to write extensive commentaries about them, in nine volumes, known as tandirams. Each verse includes the original Tamil language script, its transliteration in Roman characters, its English translation and a commentary elucidating the meaning of each verse.. The tenth volume contains presentations from two philosophical schools of Saiva Siddhanta, a glossary, a select bibliography and index.. It includes 3,770 pages in total. - and index by Dr Ramesh Babus. The discounted price for individuals is Rs. 2,000/- plus Rs. 500 for shipping. Orders from Retailers and Distributors the price is Rs. 4,000. Retailers must also pay the shipping charge of Rs. 500. By Swami Vedananda, this is a rare, spiritual adventure story by one dedicated monk who walked on foot over 300 miles through the mountains of India, Nepal and Tibet to Mount Kailash and Lake Manasarovar, the abode of the gods on earth quot. Swamiji grants us access to his meditations. Numerous photographs and a map show us his way. This book can be read on several levels. It is full of blessings. Babaji’s Kriya Yoga offers to initiated and non-initiated students of Yoga a monthly correspondence course which is designed to deepen your understanding of the principles and practices of Yoga. The course is designed to widen our perspective of our practice at all levels physically, vitally, mentally and spiritually. It introduces the right use of will to change the course of your life. In so doing it will help us to understand how we practice Babaji’s Kriya Yoga not only for our own benefit but also for the benefit of our families, friends and benefit of the world at large. Our practice of Hatha Yoga, Pranayama, Meditation and Mantra Japa takes us to the Self. This correspondence course is such an instrument, it is a time to begin a process of sharing Grace and Love. For one year, you will receive by mail, each month, (12 issues) a course of 18-24 page developing a specific theme, which builds on each other. The 12 lessons: 1. Grace & Living a Graceful Life 2. Relationships: Walking the Path with Others 3. The Power of the Mind. 4. Emotions: Our Adversary, our Friend 5. The Subtleties of Prana 6. A Course of Meditation 7. Awareness: It is really All we Have 8. Definite Methods, Tangible Results 9. Yamas: Understanding and practicing the Power of Restraint 10. Transcending Conditioning through Discernment 11. Tapas: Bringing Intensity to our Practice 12. Kriya Yoga, a Guru Yoga Lineage. · What were likely the actual words of Jesus, quoted in the gospels of Matthew, Mark and Luke, but recorded several decades afterwards. · What were likely interpolations - words attributed to Jesus by unknown sources. · What was said about Jesus or about His teachings by others, for example, Paul in his "letters," which make up most of the rest of the New Testament, and which served as the basis for early Church dogma. translation and commentary of about seventy-five selected poems, which serious students of all traditions of Kundalini Yoga and Tantra will find illuminating. By meditating upon the verses, the reader will be able to draw much inspiration. The present work provides a word-by-word translation, with alternative meanings, as well as a literal translation, and finally an interpretative translation, to balance the need for precision and understanding and to facilitate a deeper meditative approach to the various layers of meaning of each verse. A unique video class and pilgrimage to the beautiful valley where Babaji became immortal, with the author of the book “Babaji and the 18 Siddha Kriya Yoga Tradition.” Come on a rare pilgrimage to the enchanting valley of Badrinath in the upper Himalayan mountains, the place where the scientific art of Kriya Yoga was developed by the ever youthful master, Babaji Nagaraj. Learn and practice 18 asanas, postures of relaxation in front of a breathtaking panorama of snow capped peaks rising to a height of over 23,000 feet. Never before has a yoga video course been recorded in such an inspiring setting. 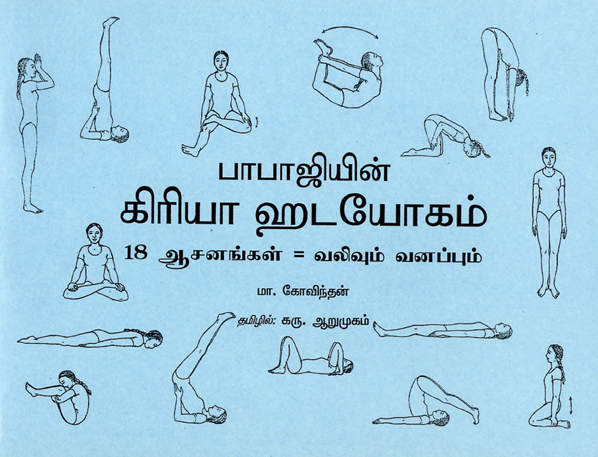 The 18 asanas of Kriya Hatha Yoga involve stretching, energizing and relaxing all the parts of the body. Marshall Govindan demonstrates and explains each asana including their benefits, with clear, easy to follow instructions. 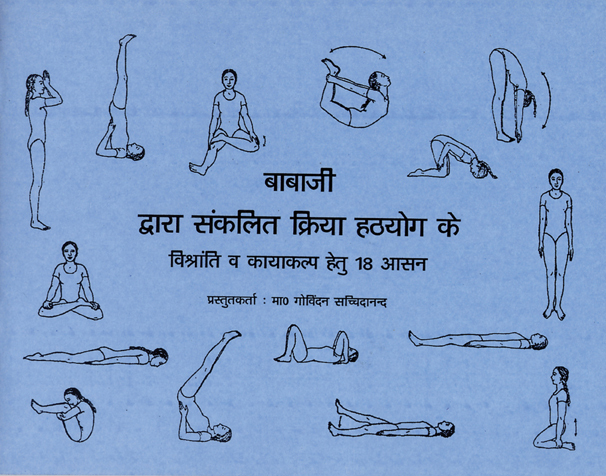 They are done in progressive stages suitable for both beginners and experienced students of yoga. How can one find lasting happiness? The paradox of human existence. How can Babaji’s Kriya Yoga help us to find it? The five-fold path of Kriya Yoga defined. Dedication to transformation of all parts of our being. 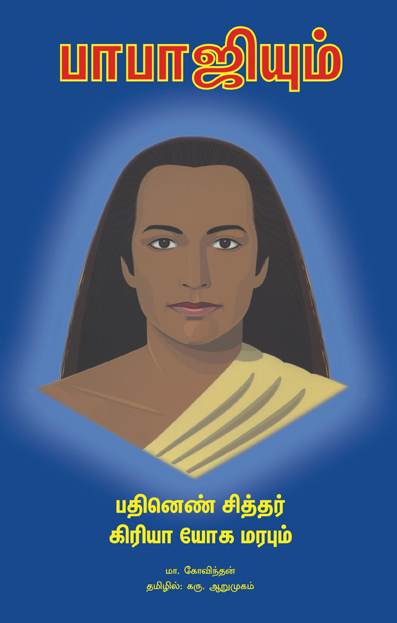 The levels of initiation, and program of training in Babaji’s Kriya Yoga. ORDERS WITHIN INDIA: The listed prices do not include postage or shipping rates. Only actual shipping rates are sought to be added. Orders may be sent by VPP (value payable post) and available within India only with the postal department making delivery and payment collection to a physical address. For VPP orders: one simply selects the items, gives intimation with address and the items will be posted and cash is to be given to the postman. 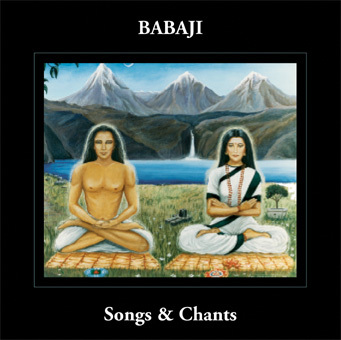 One may also send a demand draft, bank cheque or postal money order in favor of Babaji’s Kriya Yoga Order of Acharyas Trust, payable at Bangalore.These orders will be sent by courier or registered book post/parcel post. Local personal cheques are acceptable with prior intimation. Out of station personal cheques have routine problems in handling and are not acceptable. Please see the shipping rate chart on the order form of costs to be added. ORDERS FROM ABROAD: Orders from outside of India including Malaysia, Singapore, Sri Lanka, Nepal and Gulf nations may order by contacting by email or post with desired list of items and requesting the actual shipping rate as per the selected items and weight. A reply with the calculated shipping rate to be added and total amount will be sent. VPP is not available outside of the Indian Postal Departmant delivery territory. For all orders of India or abroad the full postal mailing address with all details of postal code, street names, door number, area name, state, country etc. as applicable and telephone number. This is useful to insure your order is deliverable.A bank cheque/draft or postal money order in favor of Babaji’s Kriya Yoga Order of Acharyas Trust, payable at Bangalore is acceptable.